The circuit is in an area with long associations with speed – as far back as 80BC the Romans created an amphitheater for gladiatorial chariot racing. In more recent times, the idea for a motor racing circuit was first promoted in the late 1940s. Four locals – Alfredo Campagnoli, Graziano Golinelli, Ugo Montevecchi and Gualtiero Vighi – who were all keen on motorcycle racing, saw the opportunity presented by the creation of a new road. This linked the via Emila, where the Rivazza curve is now located, to the town of Codrigano, as far as the current Tosa curve. The original circuit layout travelled the familiar route alongside the river to Tosa, up the hillside to Piratella and Acque Minerale, before plunging back down towards the Rivazza. While the track layout itself is largely unchanged, little else would be recognizable to racegoers today – essentially, the circuit resembled the largely temporary facility it was, a simple connection of the roads and streets of a city suburb, replete with all of the hazards this brings. Initially named after the Santerno River which borders it on the paddock side, the circuit was renamed Autodromo Dino Ferrari in 1970 after Enzo Ferrari's son, who had died of leukemia in 1956. Enzo Ferrari's own name was added following his death in 1988. Those early years saw Imola establish itself mainly as a sports car and motorcycle venue, but in 1963 it organized its first international race run to Formula One rules. Jim Clark proved a runaway winner in a Lotus 25, though organizers were disappointed that there was no entry for Ferrari. Similarly, the first World Championship Motorcycle event took place in 1969 without the most prestigious home manufacturer, as MV Augusta was not present. Into the mid 1970s, Imola was still a collection of public and private roads, but the decision was taken at the end of the decade to formalize affairs and create a true permanent facility for the first time. Roads were closed off to public traffic and construction work around the circuit saw it emerge with barriers all round, grandstands and new pit buildings. The reward was a Formula One Grand Prix – initially a non-championship affair in 1979, won by the Brabham of Niki Lauda – and then in 1980, the Italian Grand Prix was awarded to Imola following a dispute with organizers at the Monza circuit. From 1981, Imola was granted a race alongside Monza under the guise of the nearby Republic of San Marino, an event it would host for the next quarter century. Further circuit changes were made for the 1981 season, based on feedback from the first two F1 events. A lack of run-off at Acque Minerale was solved by the insertion of a somewhat clumsy chicane. At Variente Alta, meanwhile, for the return of the Motorcycling World Championship, a temporary second chicane was added for use during bike events only. A further chicane at Villeneuve corner was added in 1985, again only for use by motorcycle racers, though the world championship racers got only one opportunity to sample it in 1988 before the race switched permanently to nearby Misano. Despite the addition of the various chicanes, the circuit was subject to constant safety concerns, mostly regarding the flat-out Tamburello corner, which was very bumpy and had dangerously little room between the track and a concrete wall which protects the river behind it. In 1987, Nelson Piquet was injured after crashing there in his Williams, missing the race as a result. Worse was to come in 1989, when Gerhard Berger's Ferrari left the circuit after a front wing failure and caught fire. Rapid work by marshals ensured the flames were quickly extinguished but Berger had suffered burns to his hands, which would see him miss the following Grand Prix. Then came Formula One's blackest weekend. During Friday practice for the 1994 San Marino Grand Prix, Rubens Barrichello was lucky to emerge with relatively light injuries when he crashed his Jordan-Hart at the Variente Bassa, launching over the curbing into the debris fencing. The following day, Roland Ratzenberger was killed when he crashed at Villeneuve and in the race itself, spectators were injured when debris from a startline collision went into the crowd. Then, Formula One's biggest star Ayrton Senna suffered fatal injuries when his car left the track at Tamburello, and mechanics were injured in the restarted race when a wheel came loose from a Minardi. Against this background, track operator SAGIS ploughed ahead with plans to modernize, employing Herman Tilke to design new pit and paddock facilities. These call for a lengthened pit lane, which would result in the removal of the Variante Bassa chicane altogether. In November 2006, the existing pit buildings (save for the iconic Marlboro Tower) were demolished, in preparation for revisions. It was to prove the last act of SAGIS, which filed for bankruptcy in early 2007, bringing work on site to an abrupt halt. The Municipality of Imola launched a tender for the thirty-year management of the circuit, awarding it in February 2007 to a new company, 'Formula Imola', which is a joint venture between the city and the Norman property group. Work resumed on the reconfiguration, but the delays mean that no racing could be held during 2007. 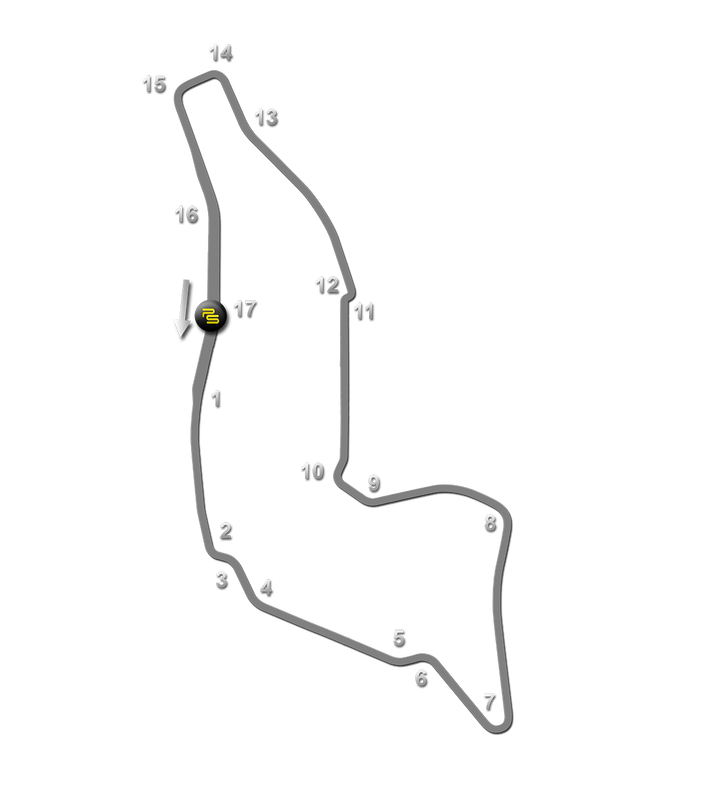 The revised circuit was inaugurated in May 2008, hosting a round of the World Touring Car Championship for the first time in August. At the end of the year, the Norman property group bowed out of ownership and the majority stake in Formula Imola was bought by the Motorsport Eventi company. A push for more international events saw the return of the World Superbikes in 2009, though a new Variente Bassa chicane was added just ahead of the start/finish line at the request of the FIM. This is only utilized by the motorcycle racers. The debts accrued by the circuit modernization sent Formula Imola into administration again in February 2010, though the circuit continued to operate on a provisional basis while new ownership was sought. Under the administrator, the circuit's debts were addressed, such that by October 2010 it was removed from administration once more. A reorganization to form a new holding company, Con-Ami, took place in December of that year. Con-Ami was subsequently awarded the rights to run the circuit for 64 years in 2012.